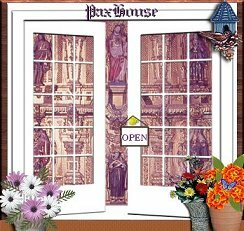 Each made of cast brass, Gold Plated over all. All brass construction, 24K gold plated. Has faux red jewels around center. Comes with luna. No carrying case. 25" tall. Luna will hold 2 1/2" circumference size host. All brass construction, gold plated. 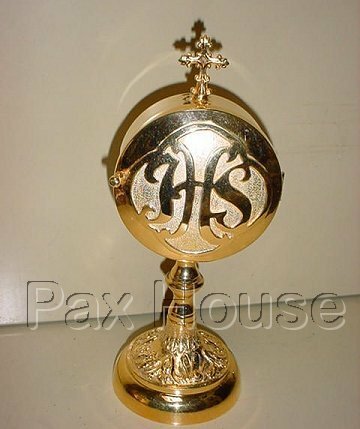 Has 8 red & gold enamel rondells, 4 on each side of the 4 Evangelists. 24" tall. Luna will hold 2 1/2" circumference size host. 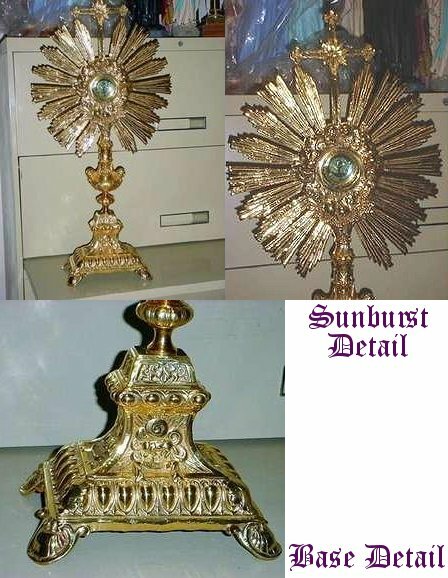 This is a NEW hand made solid cast brass Baroque style LARGE monstrance. It is a copy of a fine antique that we recently made in our shop. As it is all solid cast brass, and not pressed out brass, it is heavy, about 16 lbs. 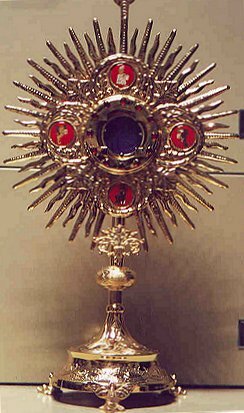 It is ideal for exposition of the Blessed Sacrament, but not so for Benediciton due to its weight. It is all gold plated in 24K GOLD and comes with a beveled glass luna. 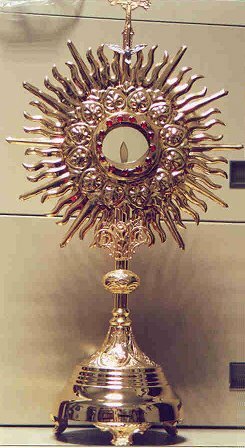 The luna is 2" diameter, the monstrance stands 31" tall, the base is 8 1/2" x 6", and the sunburst is 16" diameter. We only have ONE of these left in stock. We are not going to make any more. 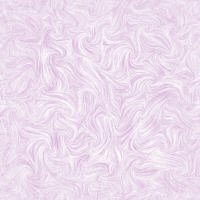 Its the LAST ONE: . 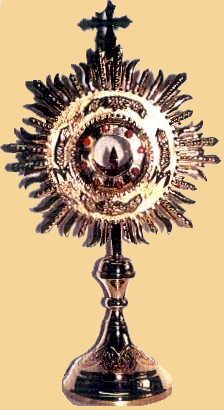 There is NO carrying case with this monstrance.